Delivered in conjunction with Guys & St Thomas’ NHS Foundation Trust. 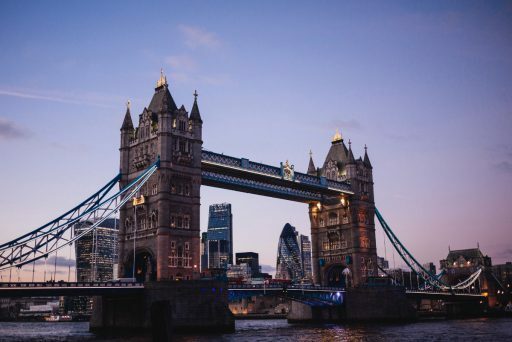 We would like to invite you to register for The London Cardiac CT Academy taking place from 4th to 8th of February 2020 at the Hilton London Tower Bridge. The London Cardiac CT Academy is a premier Cardiac CT course for those seeking elementary and advanced training in all aspects of Cardiac CT. The course has been carefully designed around the Society of Cardiovascular Computed Tomography’s curriculum. It also meets all stipulated requirements for Level II accreditation in Cardiac CT. The London CT Academy was founded in 2015 with the sole aim to provide expert level cardiac CT training to those seeking to further their experience in this imaging modality. It developed from a desire to create a new style of premier CT Academy which placed the emphasis on the learner and novel teaching methods. The underlying ethos of the course is to deliver teaching in an informative and interactive manner to enhance the learning experience for our delegates. For this reason, the London CT Academy was the first in the world to offer a Level 1 online CT course to all delegates as pre-course material prior to attending the on-site Level II Academy. This introduction enabled the delegates to spend more time on the workstations and to maximize their experience and learning from the on-site expert faculty. Faculty members are carefully selected from around the world for not only their clinical experience in cardiac CT, but also their skills in teaching. The faculty members are Level III cardiac CT practioners with a combined peer reviewed publication record of in excess of 400 manuscripts. Our faculty members have contributed to the new EAVCI Cardiac CT board examination and sit on various committees of the SCCT and ESC. This varied faculty enables delegates to learn from unrivalled experts from different hospitals and institutes from around the world. The Academy is a non-profit making course with all revenue being passed on to a registered charity whose aim is to enhance training and further the field of cardiac imaging through research. Revenue generated from the course is used to refine and enhance future courses based upon delegate feedback and to provide the best facilities and learning material possible for our Academy attendees. 1 day online and 5 days hands on workshop. To offer background information about the scanner physics, contrast dynamics, acquisition methods, administration of medication to enhance image quality and know how to report a case. To get familiar with the software and interpretation of images by using a systematic way of reviewing, and detect coronary stenosis and plaque. To detect artefacts and pitfalls, correlate CTA to angiography, and detect extra cardiac abnormalities. To offer advanced information about scanner settings with the goal to enhance image quality and reduce radiation burden. To complete 150 selected cases in order to provide material for level 2 certification from the SCCT. Endorsed by the Society of Cardiovascular Computed Tomography, the professional society devoted exclusively to cardiovascular CT. Hands on time at the workstation was great. Faculty were always available for questions. Great range of cases. Good balance of independent case reporting & expert read cases. One of the best courses that I have been on as a trainee. Very dictated. Medmastery online course helpful.